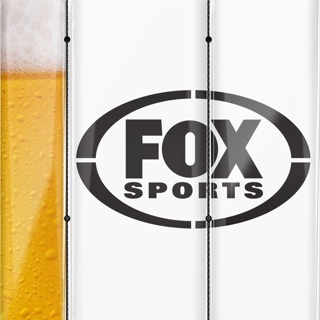 Existing Foxtel subscriber? All of the above could be yours for FREE! In-app purchases will be charged to your iTunes account upon confirmation of purchase and will renew automatically unless cancelled. Please note that your subscription automatically renews at the rate of your selected plan unless turned off at least 24 hours before the end of your current billing cycle. You can manage your subscriptions and turn off auto-renewal by going to your account settings. All subscription content is viewable in Australian only. Data charges apply. 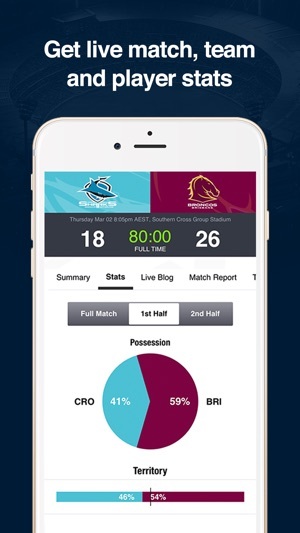 The app from Australia’s premier sportscaster keeps you right up to date with what’s happening across the wide world of sports. 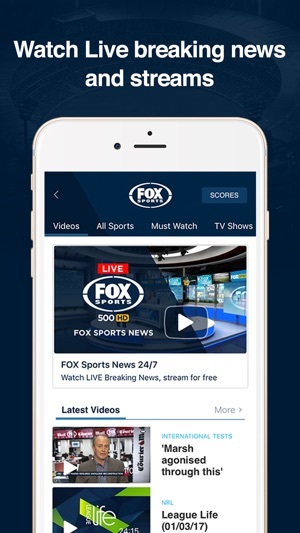 Alongside a live feed of Foxtel’s sports news TV channel, there’s a constantly updated news ticker with articles about every major sporting event happening anywhere on the planet. 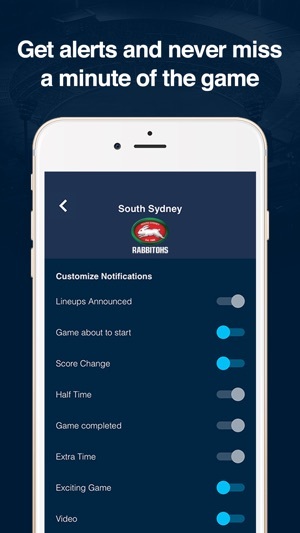 And you get to customise the whole thing to prioritise scores and breaking news on your favourite sports and teams. The app itself is designed quite well, but as numerous reviews before me have stated, it's impossible to use for more than 1 minute at a time. Anything can make it crash - switching between apps, flicking right or left to another story, staying on one section of screen too long. Along with this, the last few words of the first paragraph of every story are cut off, Twitter and Instagram embedded links don't show up (leaving most stories about social media reactions pointless), preferences are constantly reset, articles double or triple up in the feed. It's just a mess. I wish it were better - the basic framework of a good app is there! - but when your phone is rendered useless for 30-45 seconds after a crash, you may as well just use the mobile site and delete this. When it works the content and usability is fine. But 50% of the time opening an article will crash the app. 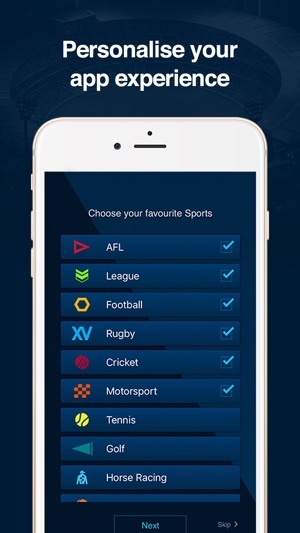 Plus, if you switch to a different app or home screen then try to open Foxsports it will crash 100% of the time. Then there is the “live sports” articles- often they just hang, but when they do open with content, it is done via a browser window, and the first thing it shows is a link to open the Foxsports app! 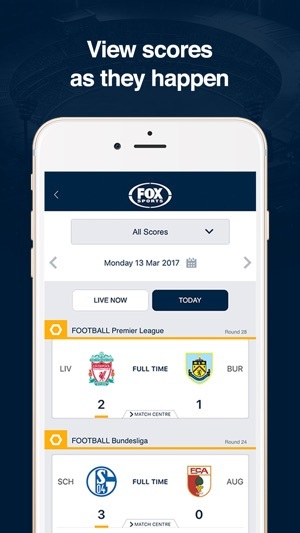 Worst of all - when the app hangs, and often when it is just in the background, it slows the performance of the entire phone - can take 20 secs to login to the phone with Foxsports app running. Kill the app and the phone works fine.